Potions, spells and divinations abounded at the Mont Vernon Village School as it transformed into the Hogwarts School of Witchcraft and Wizardry during school vacation The vacation-week program was based on the immensely popular Harry Potter book series by J.K. Rowling. Daland Library librarians elaborately furnished and decorated the multi-purpose room and organized games that included a spider race. 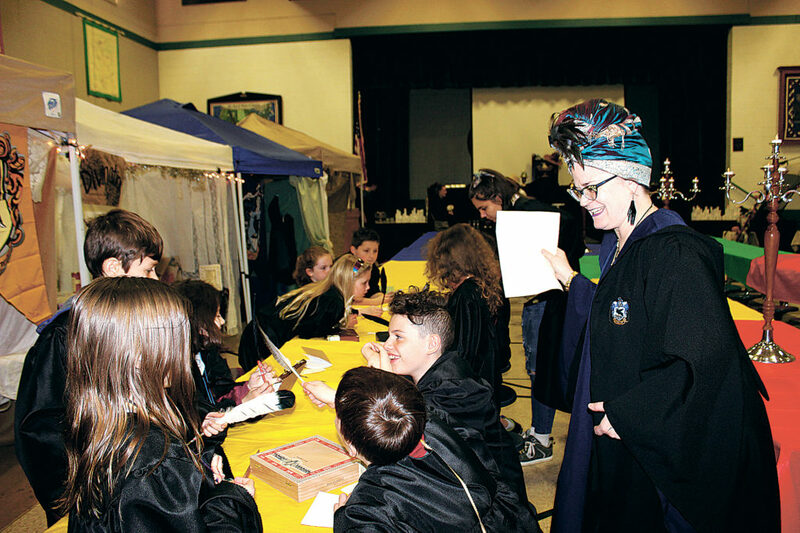 Professor Josephine Clearwater, photo at top, Hogwarts’ deputy headmistress (aka JoAnn Kitchel, the Daland Memorial Library’s children’s librarian), looks over children playing a drawing game.